The Chevrolet TAHOE is a traditional body-on-frame 3 row SUV, providing large families with the space, function and cargo capacity others can not match. 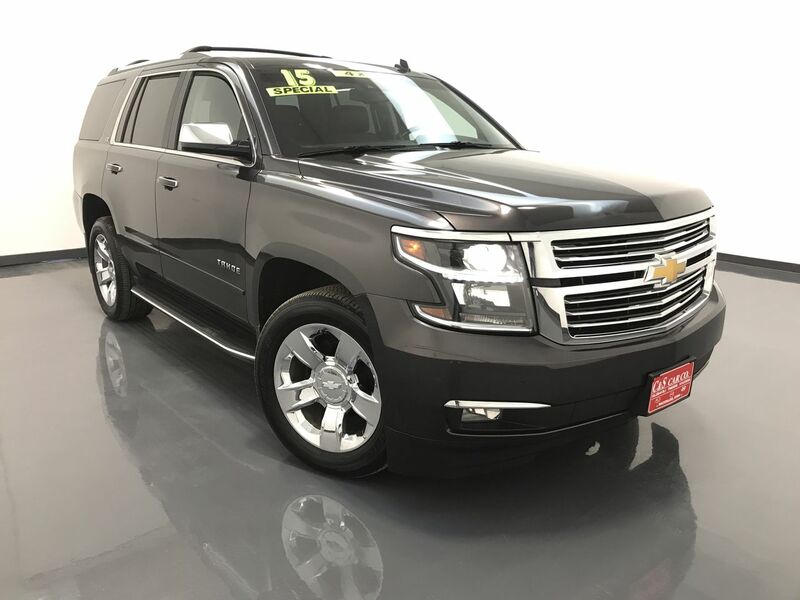 This 2015 TAHOE LTZ 4x4 has a full leather interior with heated, cooled, and power assisted front seats, with a 2 person memory for the driver's seating position, as well as power adjustable pedals. There is a heated power tilt and telescopic steering wheel, three climate zones, a sunroof, keyless entry and ignition, wood grain interior accents, blind spot detection, and a back-up camera with front and rear sensors. The Tahoe also has a power rear lift gate, power folding/upright 3rd row seats, a Bose touchscreen infotainment system with navigation, XM satellite radio, Bluetooth connectivity, and an AM/FM/CD unit, as well as a DVD system for the rear passengers' entertainment. The exterior is set off with the chrome 20" alloy wheels with Bridgestone tires, running boards, and a roof rack with cross rails. **One Owner** Call C & S Car toll free at 866-212-8718 or locally at 319-291-7321.